The band’s immense progression between their two studio records is ultimately a double-edged sword, even though it makes for an overall more satisfying listening experience. 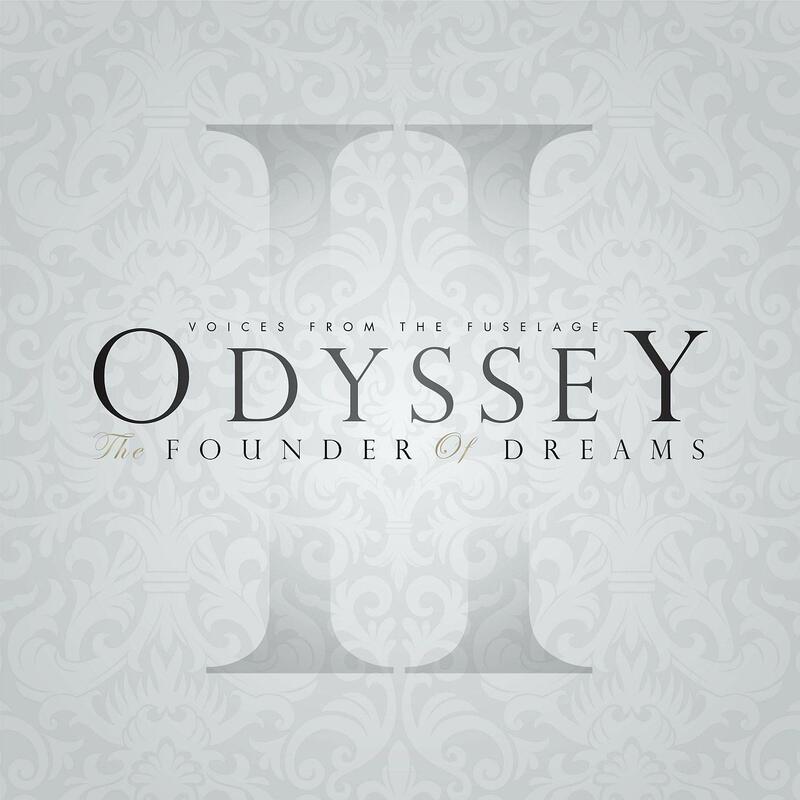 Odyssey: The Founder of Dreams is the sophomore full-length by Northampton, UK progressive metal four-piece Voices From The Fuselage, and also the second instalment of their Odyssey album cycle. Ideally, you should already be familiar with the group thanks to their own quality output, but it’s far more likely that most of you stumbled across them because of lead singer Ashe O’Hara’s stint with British djent institution TesseracT, without realizing that VFTF have been around since 2010, well before their vocalist joined forces with Acle Kahney and co. to create what’s arguably their best record to date, Altered State. But I digress. I would lie if I were to say that O’Hara’s vocals aren’t the main draw of the album once again; his masterful command of his remarkable voice is still a thing of beauty. What did change compared to the band’s previous record Odyssey: The Destroyer of Worlds, however, is that he doesn’t need to do most, if not all of the heavy lifting by himself this time around. Where the instrumentals lacked a certain import or attention-grabbing spark in the past, they now have their own stand-out moments. This allows the vocals to be less of an all-defining, dominant feature and more of a valuable asset to be lead at an opportune moment, and in turn gives the individual songs a strong heterogeneous edge while maintaining the album’s internal cohesion. There’s a core set of musical elements VFTF draw from for their compositions. Attached to the overarching progressive metal superstructure, which at times carries a significant djenty punch (see “Vestibule of Hell”), are introspective post-rock atmospheres, gentle touches of ambient electronica, and a rather hefty dose of dramatic orchestral arrangements. We’re also treated to a couple of stylish alt-metal throwback riffs here and there, most notably in the mid-section of “Life on Titan”. Those are the band’s main musical building blocks, which they shift into different calibrations as the album progresses. For example, opening track “Via” falls squarely into atmospheric territory. It thrives off pitting the froidure of the shimmering guitars against the warmth provided by the bass and subdued electronics. O’Hara delivers an emotive performance, displaying his full expressiveness in both the calmer moments and those in which the guitars and drums substantially pick up in heaviness. On the complete opposite end of the spectrum sits the album’s nine-minute behemoth of a closer, “Machina”. Building off a monstrous classical arrangement in the intro, it ties all the different musical elements together and brings them to their logical conclusion, checking all the boxes of a true prog metal epic in the process, right down to the astonishing guitar solo. Somewhat ironically, my one major gripe with Odyssey: The Founder of Dreams ties all too neatly into the biggest praise I heaped on it earlier. You see, while the increased instrumental strength and reduced focus on O’Hara alone makes for overall better songs, it also means that the hooks aren’t as compelling and larger-than-life as they once were. There are multiple tracks I still vividly recall from their début record (like “Ortus”, “Fenestra”, and “A Principle God”, to name but a select few) despite it having come out over three years ago, but I can’t for the life of me see that happening with any of these. VFTF obviously set different priorities for themselves, which I respect; one more grand sing-along chorus would have been nice to have is all. The growth VFTF as a band went through between the first and second part of Odyssey is fairly impressive. Trading in any excess surface-level flash for more consistent songwriting is a decision I can absolutely get behind, even though it does dampen the memorability of their music ever so slightly. At the bottom line, though, this newfound maturity becomes them well. If you’re searching for some above-average atmospheric prog metal to add to your late-year listening habits, then Voices From The Fuselage are your safest bet. Next PostMasta Ace and Marco Polo - "A Breukelen Story"